Culinary experts may disagree on what constitutes a dash of pepper, but residents of Chicago and Altoona, Iowa, have joined their names to a growing list of litigants making a federal case out of the amount of the spice in jars sold by McCormick & Company throughout the country. 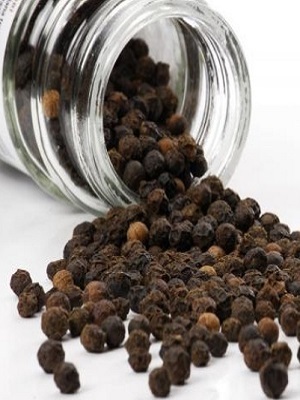 Julia Vladimirsky, of Chicago, and Bernard Ortiz, of Altoona, Iowa, filed a class action complaint against spice purveyor McCormick and Wal-Mart Stores, alleging the companies changed the amount of black pepper in newer retail tins without changing the physical shape of each container or their selling price. The suit says the change came about at the beginning of 2015, alleging McCormick at that time reduced by 25 percent the amount of black pepper in its spice tins and peppercorn grinders. While the labels changed to indicate the smaller quantities, the size of the containers remained the same, as did the containers’ price. Sparks, Md.-based McCormick also supplies its herbs and spices for private label distribution, such as through Wal-Mart’s Great Value store brand, and the suit alleges McCormick agreed with its retail customers to reduce the fill in their store-brand containers, as well. The case is the first brought against McCormick in Illinois’ Northern District, but it is one of a growing number of similar cases against the spice purveyor throughout the country. McCormick has been sued over the matter in federal courts in Minnesota, New York, California, Missouri and southern Illinois. McCormick asked the U.S. Judicial Panel on Multi District Litigation on Aug. 10 to consolidate the cases in the federal court in its home district in Maryland. Vladimirsky’s standing in the complaint is tied to a McCormick brand container she bought in Evanston. Ortiz said he had purchased a Great Value pepper tin in Altoona. Also named as defendants are “John Does 1-100,” not expressly named but accused of participating in the alleged violations. The defendants say McCormick promised investors at least $85 million in cost savings for fiscal 2015, but increasing commodity costs made that impossible without changing the pepper quantities. They allege the company reduced the quantity included in its two, four- and eight-ounce tins, all of which are historically not transparent containers. “However, neither the law nor industry standard permits companies to sell products in packaging containing non-functional slack-fill, as Defendant has done here,” the plaintiffs asserted in their complaint. The peppercorn grinder bottle is transparent, but a label — in the same place on the old and new versions — obscures the empty space. According to the complaint, McCormick controls as much as 70 percent of the black pepper retail market, as well as half the store brand spice market. That dominance, the plaintiffs assert, positioned McCormick to act as the hub in a hub-and-spoke conspiracy, protecting its own profit margins and those of its retail partners. In addition to class action certification, Vladimirsky and Ortiz are asking the court to find McCormick and Wal-Mart in violation of the Sherman antitrust act, to prevent them from continuing to market pepper in the same manner, to award restitution for all purchases of black pepper sold under the pretense, “disgorgement of the ill-gotten gains derived by the defendants from their misconduct” and to award punitive and compensatory damages and legal fees. Plaintiffs are represented in the case by attorneys from the firms of Hagens Berman Sobol Shapiro, of Chicago and Seattle; Hudson, Mallaney, Shindler and Anderson, of West Des Moines, Iowa; and the Freydin Law Offices, of Skokie.